The ultimate in contemporary designer living beckons from this outstanding property. 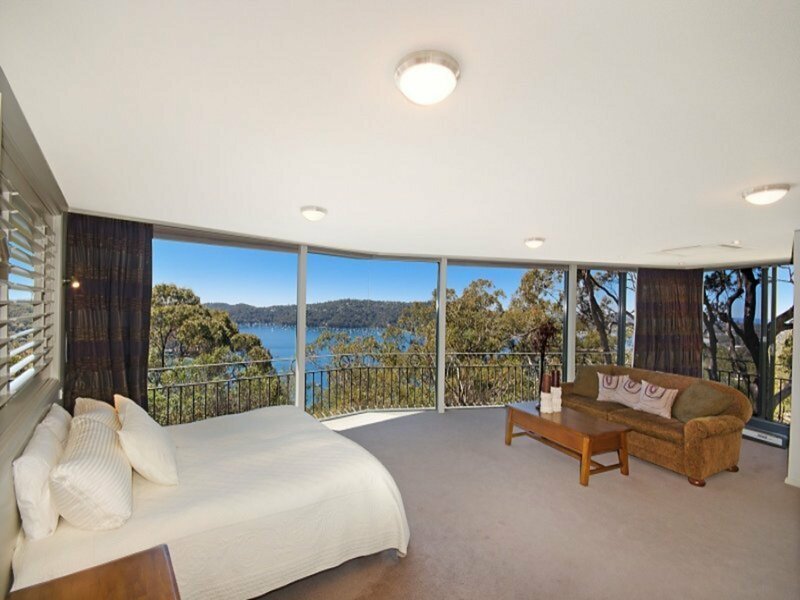 No expense has been spared in creating the perfect residence from which to take advantage of the breathtaking world-class views over Pittwater and the Pacific Ocean. 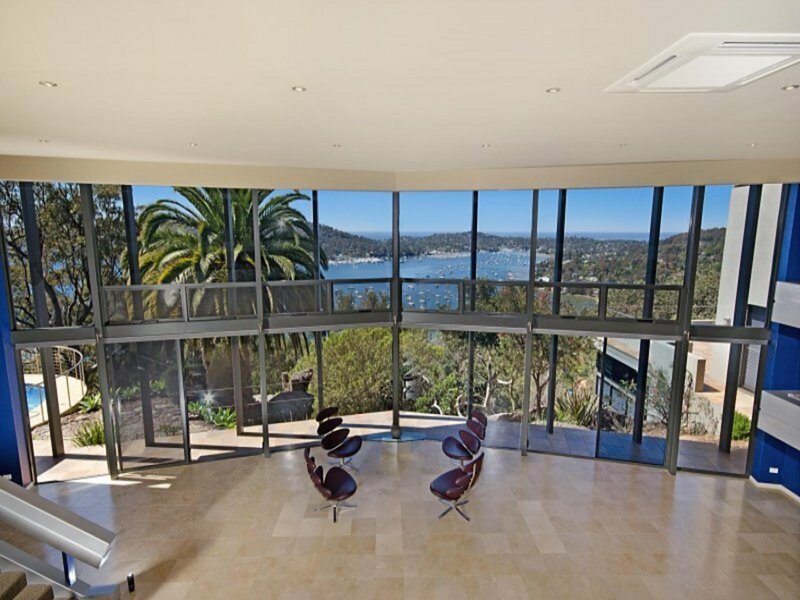 Endless lifestyle and business opportunities exist in the flawlessly appointed 1,000m2 internal living space. 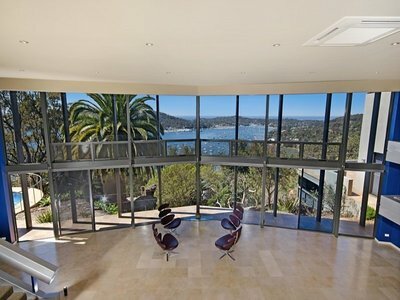 Corporate and private entertaining areas feature floor to ceiling glass to maximize exposure to the fabulous vistas. 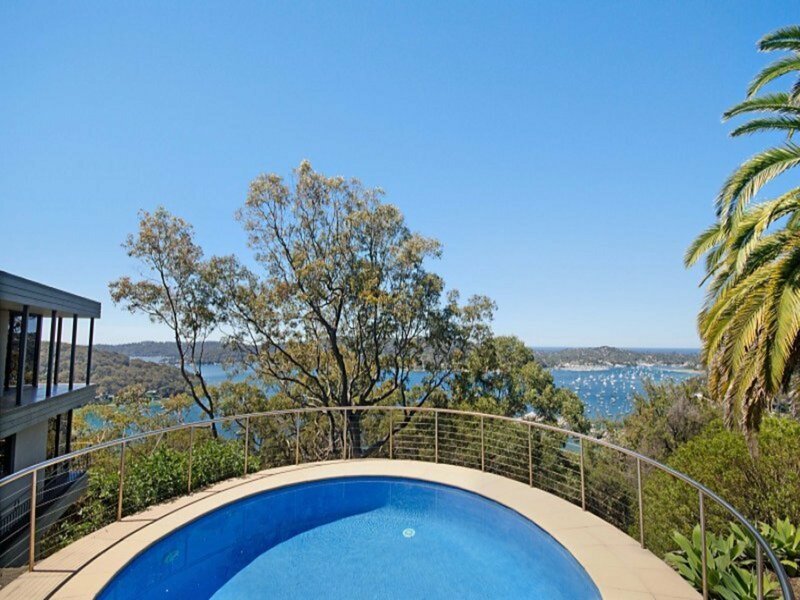 Located a mere 45minutes from Sydney CBD, this stunning home feels a world away from hustle and bustle, located as it is at the end of a private cul de sac. Transport needs are generously catered for with five car garaging, a workshop, storage and off street parking. This stunning home offers five generously proportioned bedrooms, all with en-suite bathrooms. The private master wing affords the owner a luxurious en-suite bathroom, a separate office, private tea station and dressing room. 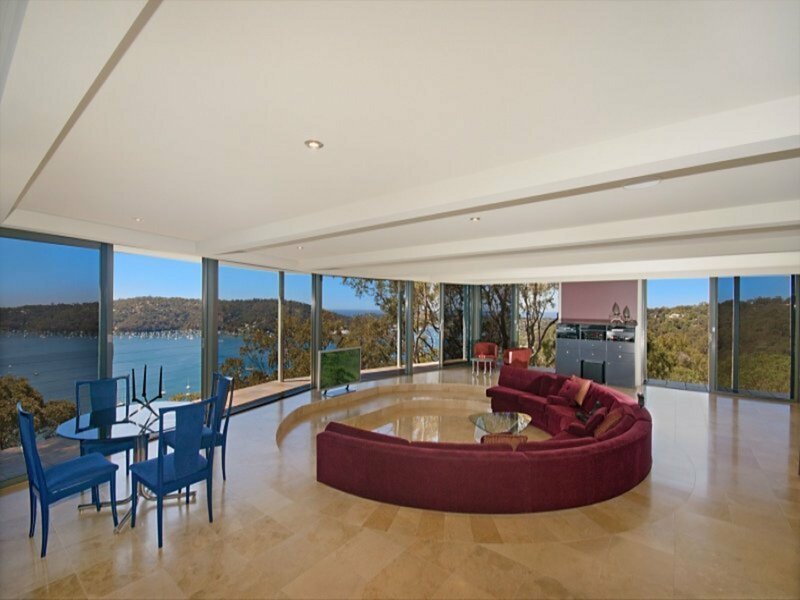 The spacious drawing and dining rooms flow outwards to an expansive terrace. 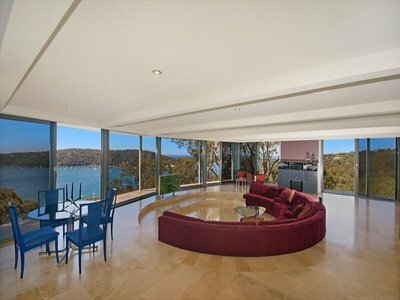 Television and entertainment rooms provide a simple solution for relaxation, complemented by spectacular views, and the unique circular heated swimming pool provides the perfect exercise option, with a staggering backdrop. The billiard room is thoughtfully provided with an adjoining granite kitchenette and bathroom. 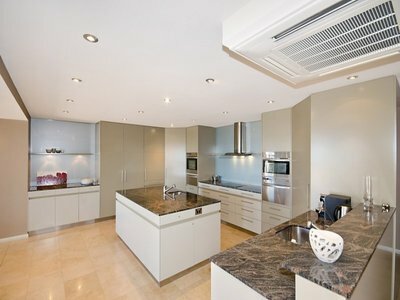 The enormous gourmet kitchen is bedecked with state of the art appliances. 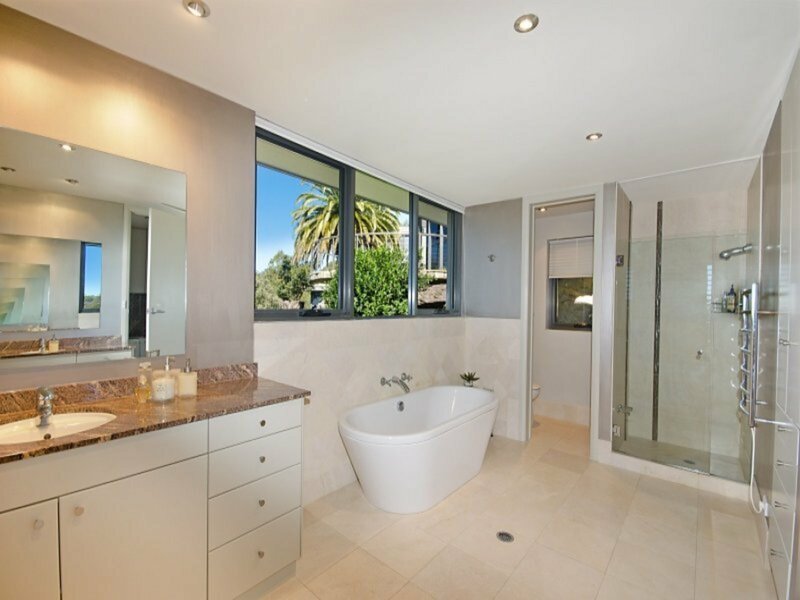 Opulent marble flooring flows throughout the property, and underfloor heating is provided across all tiled areas. The options for modern living are extended by the inclusion of a self-contained flat, with its own private terrace. 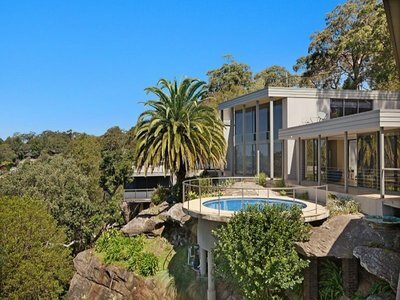 Outside, maintenance is a breeze, with minimal grounds to keep. This may just be the most incredible house you will ever see.